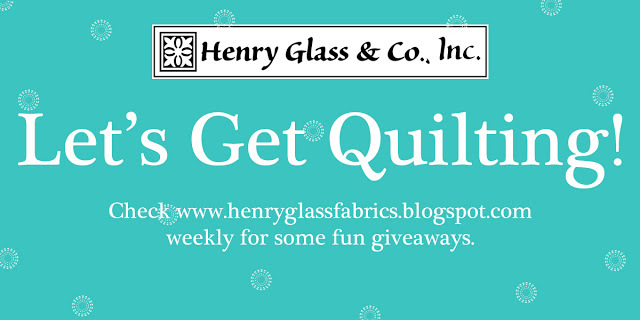 This sweet summertime giveaway is to build your stash! Modern Melody is the perfect amount of fun to add rest to fun quilts, or to use for accents. Look at this super awesome palette of color! There will be two winners this week, each will get a 12 pc bundle with some of these colors. Enter below to win! Leave a comment with what kinds of fabric you pick for your stash. Click on this lovely batch of swatches below to go to the page and see them all AND pick up a FREE project while you are there. I'm always in need of some blender fabrics for most of my projects. I use them all the time. Thanks for the chance. I like to keep cotton fabric in my stash. I love the blenders! Thank you for the giveaway! A blender color for every need . Thanks for supplying us with the fabrics we need and love. Being a scrap quilter, I use blenders to marry all those bits. My fabric collection contains mainly bright, happy colors. I tend to go for the bright and happy myself. First, be sure it's quality fabric. Second, I buy whatever appeals to me (unless I'm searching for fabric for a particular quilt-in-progress). Beautiful blenders! I try and pick fabrics for my stash with what would work well together in mind. I used to buy fabrics for my stash, and then later say, why? Now, I aim for versatility and options, lots of them for both. Thus, these blenders are right there on my stash building radar! I pick blender fabrics to have on hand and neutrals like "greys" or white on whites or low volume prints. Such great basics, always a good thing to have! My favorites include tone on tone fabrics. I love applique and I'm always looking for backgrounds to add to my collection. One can never have enough blenders!!! I really have a variety of stash fabric. My tastes change, but I continue to make traditional quilt styles with fabrics that blend well together. Love the design on these! They are wonderful blender colors, too. I like all kinds of fabric. Right now I'm trying to collect prints that read as solids. Thanks. What a beautiful grouping of blenders! I could use these prints in so many projects! these are so pretty. great filler fabrics. I love blenders and shop for them often. Thanks for the giveaway! I am always looking for fabric`s to flow with my other pieces. Sometimes it might only be a fat`1/4 that is needed but most times a little bit more. :) This looks a lovely range to just do that. Happy Stitching. I love purples and brights! I usually stick with neutrals, small prints of various colors unless I'm looking for something for a particular project. I go for blenders usually getting several of the same color at a time! When I find a blender I love, I stock up on it, and then I'm heartbroken when it's finally gone. I usually buy bright colors and small prints. Thank you for the chance. I love all the colours! Any of these fabrics would be a great addition to my quilting. Thanks for the great giveaway. These blenders would be nice to add to my stash. I often buy prints I like and then go to my stash to find coordinates. Not always succesful, so I would love to win some of these great blenders. Great colors. I have a big stash, and look for things that go with something I want to use for a project. Normally it's blenders, sometimes it's just a good background, but if I find a larger print that I can't live without, I grab that, too. I love Autumn tone colors. Thank you for a great giveaway! Great set of blenders. You never have enough. Love these! I am looking for blenders and solids to add to my stash. I usually buy what catches my eye then have to go back for blenders and neutrals. These blenders would be perfect. Thank you for a great giveaway. I buy a lot more tone on tone fabrics than busy prints. These fabrics would make such beautiful quilt blocks. Tonals really stand out from the background fabric. Thank you! I like to pick a strong focal fabric for my stash, and work around that with a good assortment of blenders. I generally go towards red, white and blues for QOV or neutral blenders to put with all kinds of things. All of these are beautiful colors! i am always on the lookout for blenders batiks. thanks for the chance to win these awesome fabrics. These blenders are fantastic! Would love to win some. I see the beginnings of a couple quilts in that stack. Great blender colors! Neat Giveaway! I seem to do mostly "Blues"! Traditional colonial blues for many of my quilts. For happy quilts, as for children, I often pick bright blues. Thank You! Thank you for your generosity with the giveaway. I always pick bright colors. Lately I have been looking for fabrics with small dots to add to my stash. I try to pick up something that stands out each time I visit a fabric shop. What beautiful colors. It is nice to have so many pretty solid choices. I love blender fabrics and these colors are just beautiful. Thanks! I'm always eager to add to blenders. It's so fun when you need an accent color and are able to find just the right one in your stash waiting to be put to good use. A good basics blender bundle is always needed in quilting. Would love these fabrics in my stash...thanks for the opportunity. I buy lots of solids, batiks and small "reads as solid" prints. But I also buy some large prints.